Registration & Sponsorship Package Information. Early Bird registration ends March 31. Stay tuned for Thursday afternoon Tour and Dinner arrangements for early travelers. Please dress for success on Friday. Haylie booked complimentary head shots and videographers will be available by Salvi Media!! Through vibrant story-telling, this panel of construction professionals from The Walsh Group will reflect on their personal and professional experiences on the prioritization of diversity and inclusion within their organization. Attendees will gain a connection around common and uncommon issues in the industry; will be impassioned and hopeful; and will be empowered to be a catalyst in their organization to institute change. Friday night will be the Awards Gala. Let’s Celebrate!! I encourage you to wear your NAWIC pride on Saturday! Let’s be noticed for who we are! Saturday morning breakfast is on your own. There is a restaurant on site and plenty of options close by for your convenience. 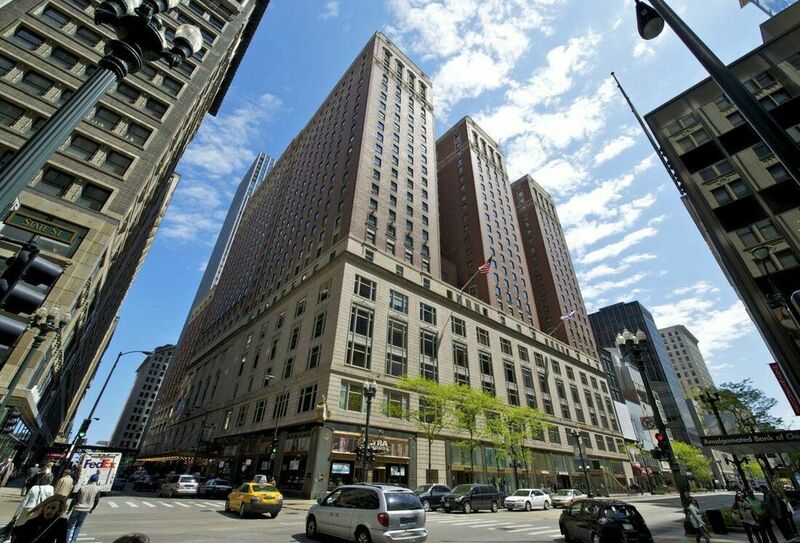 https://www.palmerhousehiltonhotel.com/about-our-hotel/restaurants-bars/ Starbucks is on the first floor and there is also a McDonalds right around the corner. Watch this page, the Chicago Metro Website and our Social Media for updates with Speaker Bios and more information. Don’t forget to promote your NEF Change Jars. Your donations will help the MWR Build Our Women Up to Make Our World Fair! To make this Conference the Best it Can Be – Reach out for Sponsorships. 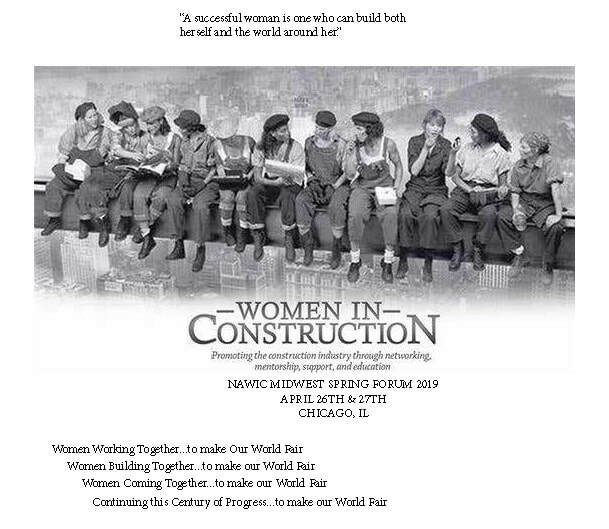 NAWIC is the Professional Association for Women in Construction. Let Us Continue This Century of Progress and let the MWR Spring Forum Chicago be the Destination to Promote your Support for Diversity! Lastly – Don’t forget we are celebrating YOU at Spring Forum! Your MWR Committee Chairs want to hear from you. Brag Brag Brag! This is our time to shine. The Future Leader of the Year and the Member of the Year applications are at right. ​Stay tuned for more details from April Planck. Download the 2019 Spring Forum Agenda. Future Leader of the Year & Member of The Year Applications.